The insurgency operations of the Indian paramilitary forces at the Loktak lake in the Indian state of Manipur using hovercrafts making big sounds is raising serious threat to the bird migration in this crucial Ramsar site, says a recent study done on the bird migration pattern in the lake. The study conducted by the Centre for Conservation of Nature and Cultivation of Science at Imphal found that the rate of migration has declined this year and that the bird population around the lake has fallen drastically since the inception of paramilitary operations using hovercrafts, which is a special craft which can travel both on water and land. The study points out to the severe sound pollution caused by hovercrafts while operating as a major threat to the bird migration. According to PTI reports, ornithologists has pointed out that 80 decibel sound itself can harm the ecology and health of birds. 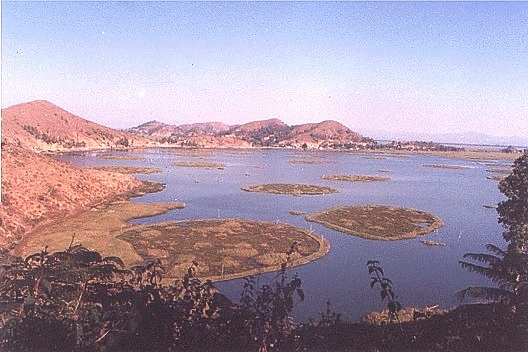 The hovercrafts used in Loktak Lake produce sound to the tune of 104 decibels to 120 decibels. Indian paramilitary forces are using 3 imported hovercrafts from the US in the Loktak Lake to check insurgent operations in the areas. Manipur has been crushed by internal insurgency and draconian military laws for decades and now the conflict is taking a toll at the ecology of Loktak Lake and the avian fauna here. Loktak, being the largest lake in the northeast India, is a major point in the migratory route of thousands of winged visitors like Lanius cristatus from the northern hemisphere. According to experts, Siberian cranes, wild ducks, herons, pink-headed ducks also annually visit Loktak Lake. The lake is also home to endangered Brow-antlered deer or Sangai (Cervus eldi eldi), which is the state animal of Manipur.